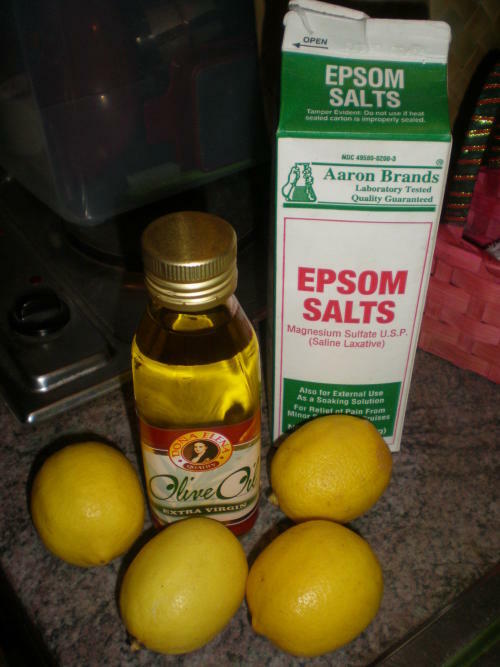 Dr. Hulda Clark’s liver flush method is done using just Epsom Salts, Water, Lemons and Extra Virgin Olive Oil. Materials needed for this liver flush. Eat no fat during breakfast and lunch. This means no animal food sources, no oils, no frying, no milk, no fish, no cheese, no butter. Stop eating and drinking by 2pm. By 6 pm mix 1 tablespoon of epsom salts with 3/4 cup of cool water. (tastes better when cold) Drink up. This will cause bowel movement. By 8pm, repeat the epsom salts and water for more bowel movement. 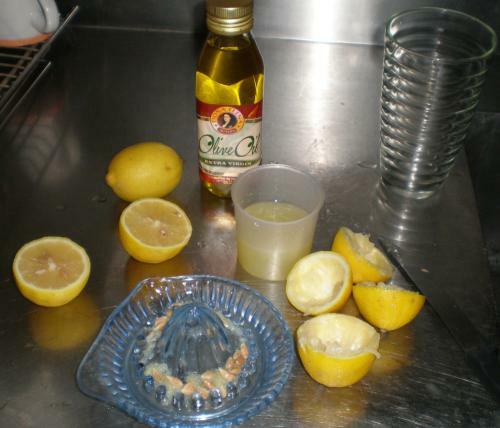 By 9:45pm, prepare by squeezing and filtering up to 1/2 cup of lemon juice. Mix with 1/2 cup of extra virgin olive oil. Mix thoroughly. By 10 pm, drink while standing up. Lie down and go to sleep immediately. By 11am you can take some fruits and vegetables, light meals. The liver flush method is discussed in Page 555 of Hulda Clark’s book Cure for All Diseases. Download here.